10 week and 20 week cycles turning down. 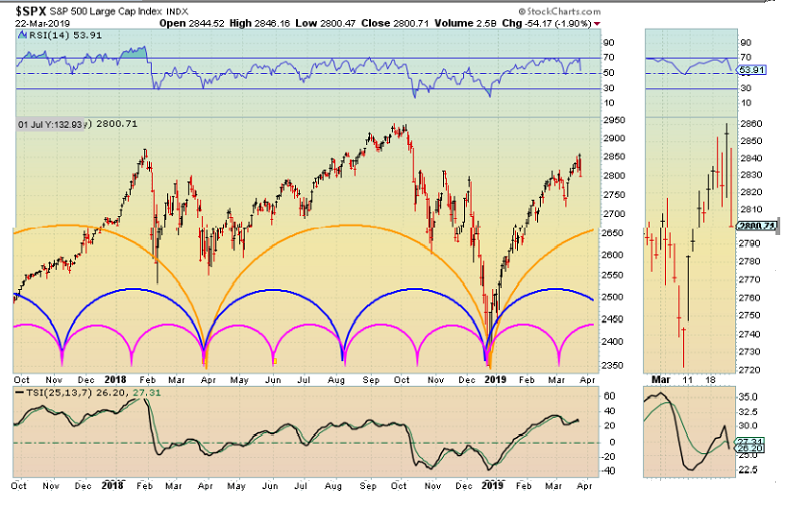 Should be enough down side pressure to control direction of the market. My take on JM Hurst's work with cycles (free to you). A top was set about 1 week ago (20 week cycle). So that cycle (20 weeks) turned down. The 40 week cycle is still in a left leg up move. 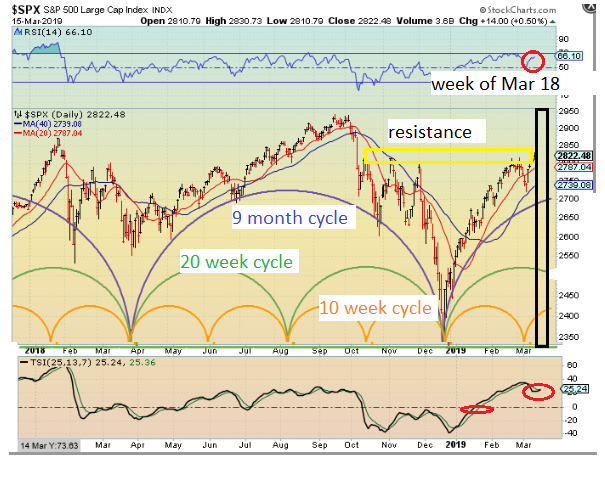 The 10 weeks cycle is topping and should turn down during the week. 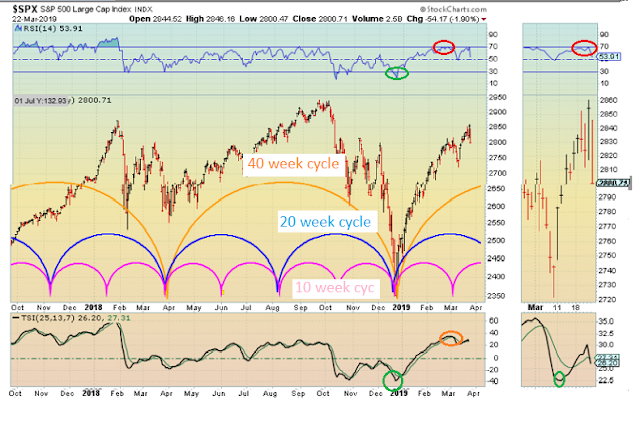 The 5 week cycle (not shown ) should bottom and turn up by week end. 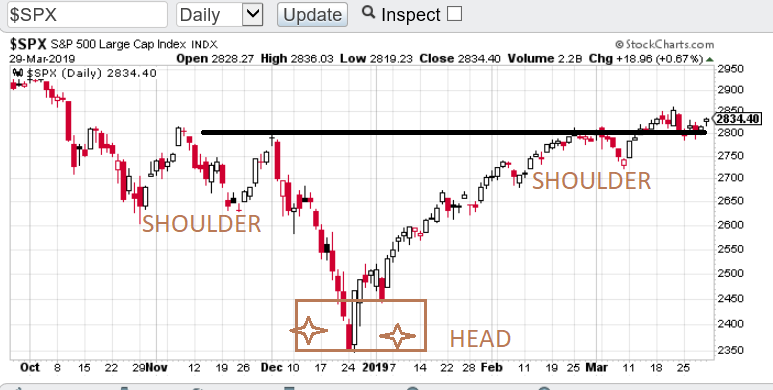 Short term trade possible (bottom mid week??). Looks like we have topped. 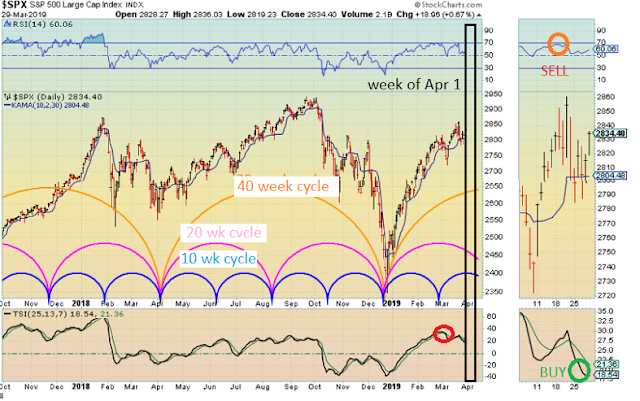 I had expected a top 2-3 days earlier, but cycles are not always exact. Be ready to take what the market gives you. 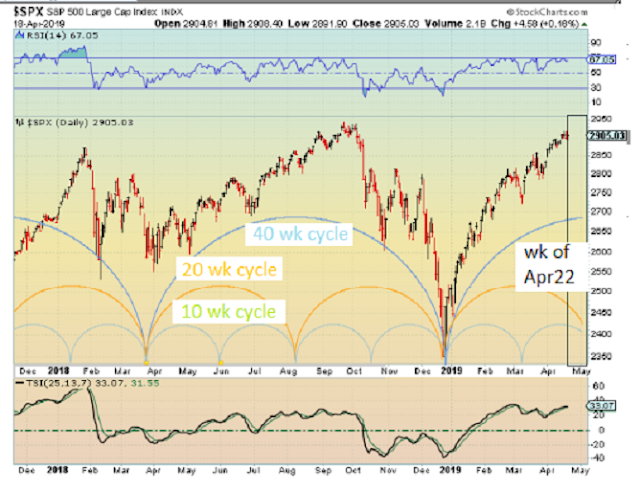 you should have raised cash this past week and be ready to buy trading position around third week of April. 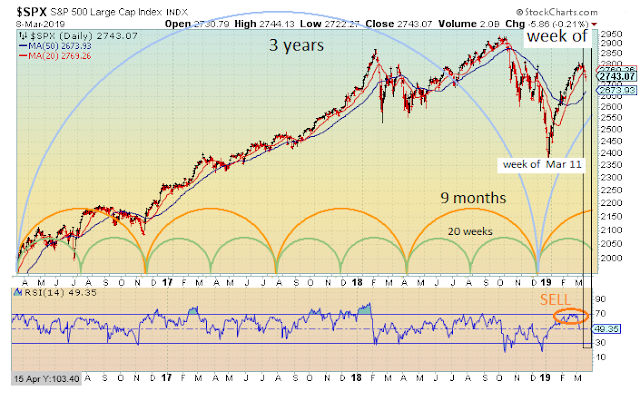 Past two weeks saw the 10 week cycle bottom. 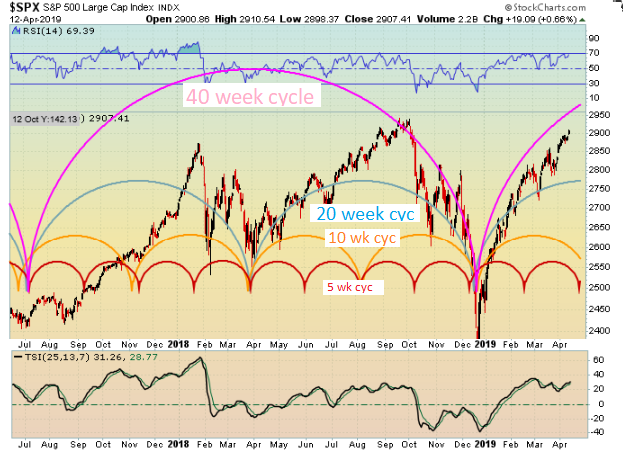 As expected the cycle top was right translated so the downside of the 10 week cycle will be minimal in time (say past 2 weeks down and a fraction of the rise in the prior 7 weeks). But, the total length of the cycle should be 10 weeks. 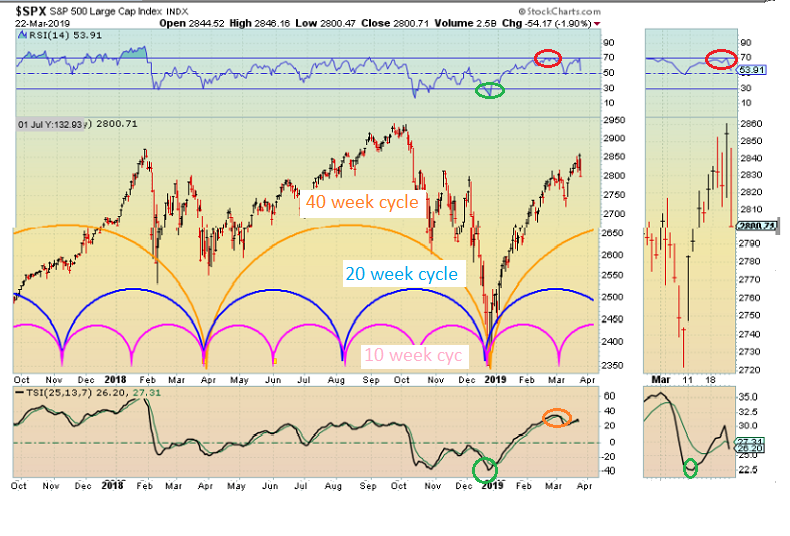 The drop this past week was past due as the top was right translated for the 10 week cycle. 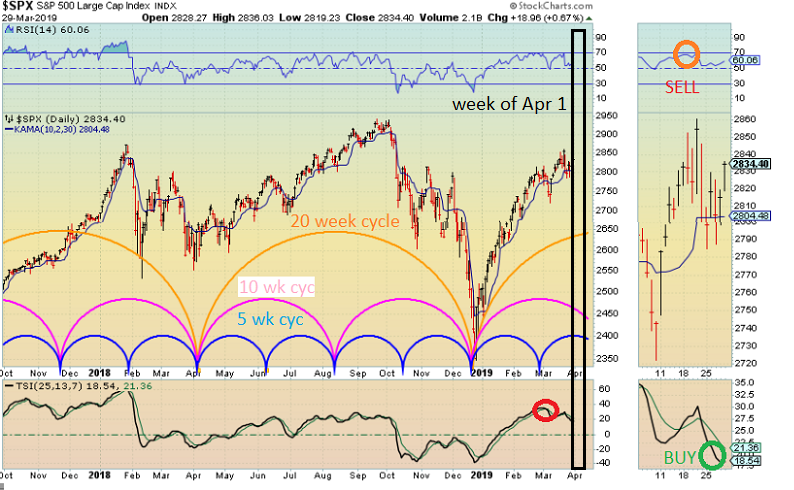 Since cycles balance out I would expect the down leg of the 10 week cycle to be less than 5 weeks.